The interest you have to pay on mortgage can make a huge difference in the total amount of your loan. Your mortgage rate is crucially determined by your credit score. The three major consumer reporting agencies being TransUnion, Experian, and Equifax compile your credit report on the basis of data about the history of your borrowing habits and how diligent you have been in paying back those amounts. The Fair Isaac Corp (also known as FICO), which is a major producer of credit scores, takes these 3 credit reports, applies their formula to your credit history, and comes up with one credit score ranging from 300 to 850. To compete with FICO, TransUnion, Experian, and Equifax collaborated to create their own algorithm for producing a 3 bureau credit score which is called a Vantage Score. Credit reports are not only significant to get a good rate but they influence whether you qualify to get a loan at all. Lenders are quite cautious about giving loans due to tight credit in the market and naturally, they want to be certain that they will get their money back. As such, they tend to pay closer attention to your credit score when considering whether or not to give you a loan. Borrowers below a certain threshold are unlikely to get a loan. Low credit scores indicate higher levels of risk and generally, the top-tier ranges from 760 to 850. Borrowers that have great credit scores between this range are likely to get the lowest interest rate and more credit options as they are viewed as extremely desirable. The borrowers below the score of 760 lie in what is called the subprime category, representing greater risk of non-payment, and they will tend to be offered a little higher interest rate with less variety in loan choices. Rates offered on a mortgage may vary across lenders. However, a score of 740 or more should qualify you for a very good interest rate depending on market conditions. Your credit score may affect the mortgage rate regardless of other factors like your income, and assets. Lenders need borrowers with a history of on-time payment, low balances, and a mix of credit utilization. These factors determine the riskiness of lending. Due to this reason, they tend to demand higher yield on risky investments. The best thing to do before applying for a mortgage is to get your credit report from TransUnion, Equifax, and Experian. All borrowers are entitled to get a free copy of their credit report annually and your free report is available at AnnualCreditReport.com. Regarding credit scores, you will need a credit monitoring product to help you compare and track all three scores and using the middle one will help you know how a lender will judge you. You should check all details carefully and promptly get the information corrected if you find any error. You should take the time and look over everything in detail. According to a survey, nearly 37 percent of consumers find inaccuracy when they check their credit reports. If you find any errors, get them corrected immediately. All three bureaus have made this rectification process smooth with online systems. Once you know your credit score, you can find ways to improve it by paying down your balances. Start by paying closer-to-the-limit credit first to improve your credit score. Typically you don’t want to utilize more than 30% of your available credit so if you have a credit card that allows you a limit of $10,000 you will be best off not exceeding a balance of $3000 on that card. You should never attempt to improve your score by closing down any credit account. When you close one or two of your credit accounts, you increase your ratio of indebtedness to the total amount of credit. This approach would further harm your credit score rather than improving it. Instead, aggressively pay down your debt and assuming that those accounts don’t require any service fees, consider keeping those lines of credit open (just try not to use them!). You cannot improve your score overnight. You can get a better score by showing consistency in paying off your balances and keeping your financial records clear. Ms. Spring is a Texas based columnist and editor with experience in residential real estate. She has a background that includes mortgage brokerage and personal finance. 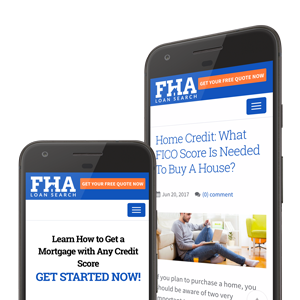 Following the latest trends in home loans and interest rates, she leads a content team that researches residential lending and first-time home buyer loan programs. Get custom home loan advice from a mortgage expert today.